Heat your oven to 350°F and grease a 9X5-inch loaf pan. In a medium-large mixing bowl, stir the mashed bananas together with the egg, sour cream, espresso, and vanilla extract, until everything is well combined. Stir in the instant espresso granules. Next, stir in the melted oil until it is completely incorporated. Follow this by stirring in the sugar until everything is well mixed. Remove from the oven, allow to cool in the loaf pan for 10 to 15 minutes, then gently run a knife around the edge of the bread and turn it out of the pan. Finish cooling the bread on a cooling rack. Happy Easter. You are right that eggs are not vegan and neither is the sour cream. Flax seeds can easily substitute the egg, but the sour cream would be freakier for vegans. Thanks for this. Let me know if you try this out and how it turns out. 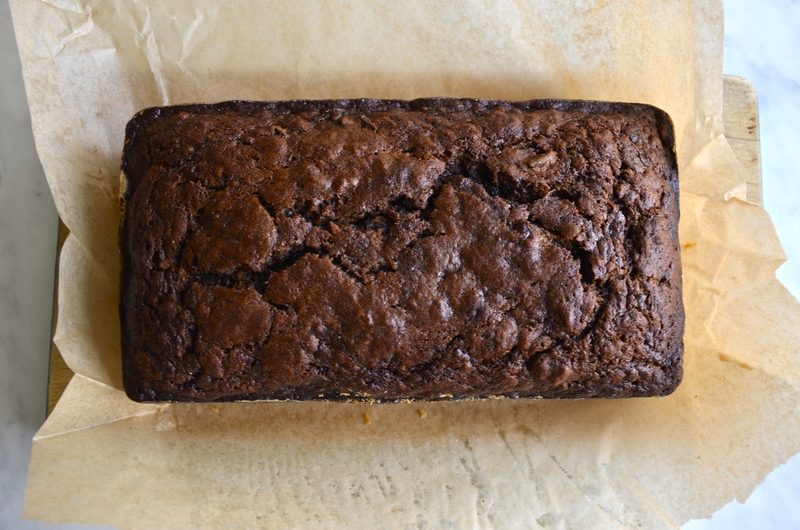 I understand there are some other really good vegan banana bread recipes out there. If I find one I’ll pass it along. I went for this one because it’s my daughter’s favourite and, for me, I don’t mind a little non-vegan once in awhile if it’s healthy, approached with grace, and made with love (especially by one of my kids 🙂 Enjoy.